Over the last couple of years we have worked on a number of different interior and graphic design projects for Paignton based holiday park, Beverley Holidays. The most recent of which was our re-design of their reception and restaurant to bring them up to modern standards. We were recently excited to be asked to refresh Beverley Holiday’s existing chip shop and takeaway, with the overall goal to increase sales and provide an improved dining experience for customers who choose to eat inside. The team at Beverley were keen to relaunch the takeaway with a new brand identity. 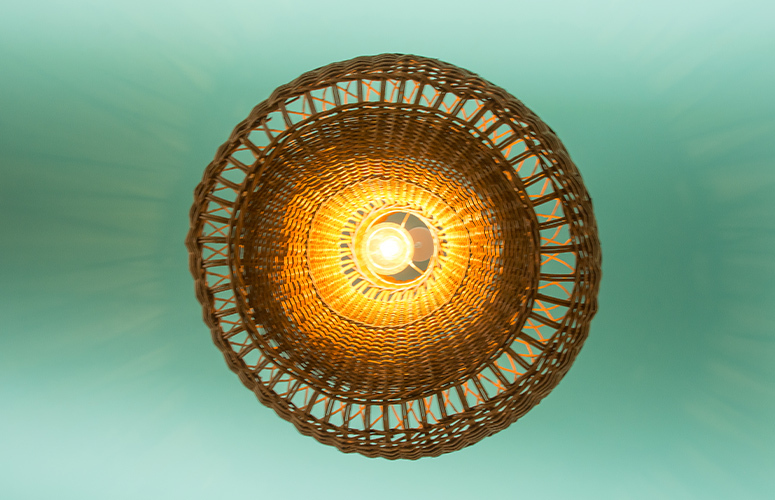 The name ‘The Catch’ was devised and we developed the brand that complemented the design of the interior. The textured logo was printed onto the wood panels positioned above the servery and numbers were printed onto the tables. 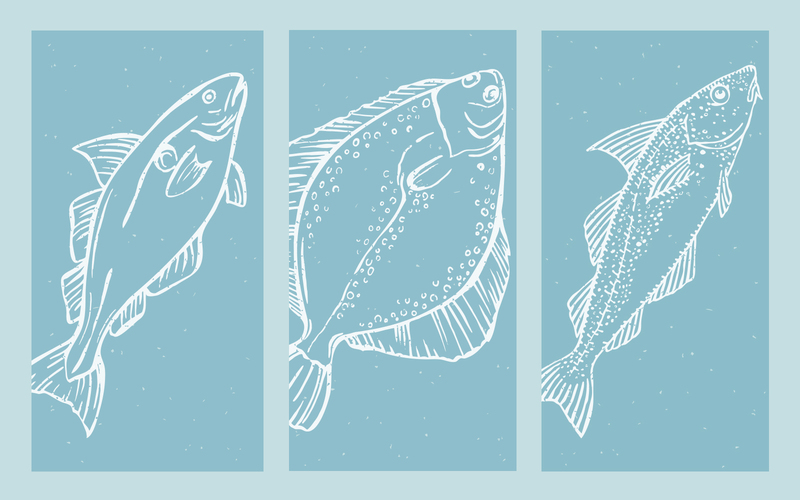 To reinforce our theme we illustrated a wave pattern and a number of different types of fish. 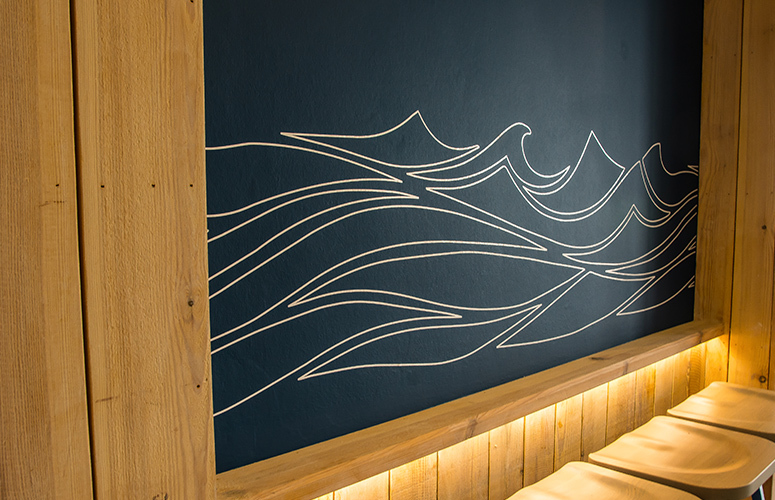 The fish illustrations we produced were printed on plywood panels and hung on the walls of the interior. 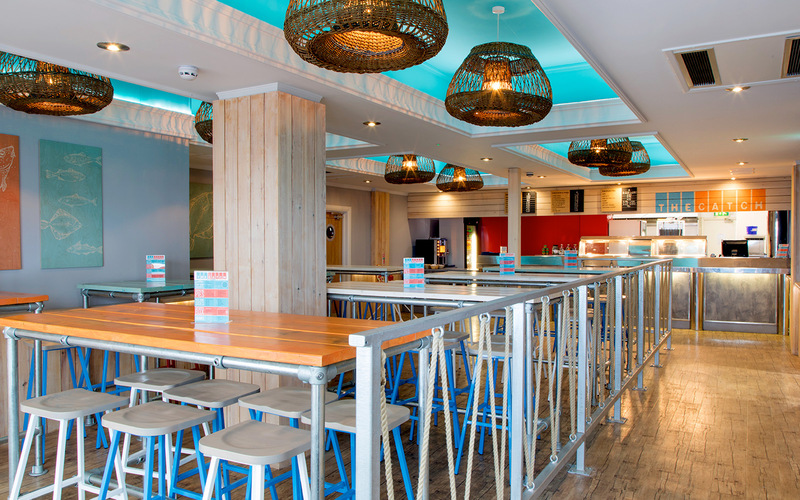 The new facility will offer an alternative to the recently refurbished Jetty Restaurant and will relieve some of the pressure on the venue during busy periods. Need help with your current design project? We can provide interior, print and digital services. Contact us today on studio@fruition-design.co.uk or call 01803 295 959.